The Congress party on Tuesday attacked the Bharatiya Janata Party (BJP) for resorting to ever-newer branding of Prime Minister Narendra Modi, the latest being its ‘Main Bhi Chowkidar’ campaign, to hide the failures of its government at the Centre. 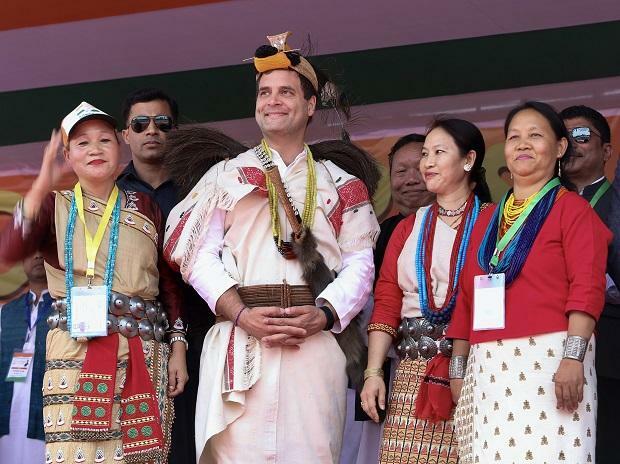 However, with the first phase of voting for the Lok Sabha polls only a little over three weeks away, the Congress is still struggling to come up with an overarching slogan for its campaign. The party’s publicity committee met again on Tuesday to finalise the agencies that will help prepare its campaign. The delay in the Congress launching its campaign has much to do with its leaders failing to agree on a common theme. The proposals earlier sent to Congress President Rahul Gandhi were rejected as they were thought to lack the kind of bite the party’s earlier campaigns against the Modi government — ‘Suit Boot Ki Sarkar’ (a government of and for moneybags) and ‘Gabbar Singh Tax’, for rolling out a “hurried” goods and services tax — had. Indian Overseas Congress chief Sam Pitroda, brought in to expedite decision-making, also attended the meeting. His presence helped finalise some of the agencies that will handle the Congress campaign. According to sources, the meeting decided on SilverPush, DesignBoxed and Nixon Advertising for its digital marketing and social media campaigns. The BJP, meanwhile, announced the details of its ‘Main Bhi Chowkidar’, or ‘I too am a watchman’, campaign on Tuesday. Interestingly, the campaign was suggested to the Congress in as early as January, but it shelved the idea. While senior party leaders refused to confirm this, sources said it had to do with the plan getting leaked. As part of the BJP’s campaign, Prime Minister Narendra Modi will on Wednesday address 2.5 million ‘chowkidars’ across India through an audio bridge on the occasion of Holi. On March 31, the PM will interact with ‘chowkidars’ in nearly 500 locations, BJP leader Ravi Shankar Prasad said. The BJP said the ‘Chowkidar’ campaign “is the positive depiction of emerging identity of India as a corruption-free government”. Prasad said more than 2 million people tweeted with ‘#MainBhiChowkidar’ and it received 16 billion impressions, while nearly 10 million people pledged support to the campaign on NaMo app. Mocking the campaign, Congress spokesperson Randeep Singh Surjewala said the BJP is forced to "brand and rebrand" the PM to hide his government's failures on nearly all fronts. Surjewala said the BJP's campaign in 2013 promised bringing back Rs 80 trillion in black money stashed abroad and depositing Rs 15 lakh in each bank account. He said the BJP in 2014 promised acche din, or better days, and 'Sabka Saath Sabka Vikas' in 2015. In 2016, it committed to building a 'New India', and in 2017 it claimed 'Mera Desh Badal Raha Hai', or my country is being transformed, and in 2018 it said 'Saaf Niyat Sahi Vikas', and now in 2019 it has resorted to 'Main Bhi Chowkidar'. He said the BJP's latest campaign was a charade to hide the reality of the PM being the "chowkidar of thieves". On the Congress' slogan, Surjewala said it will be launched soon. "Anand Sharma and a committee headed by him have almost finalised everything. It is now in its final stages and you will see it soon," he said.